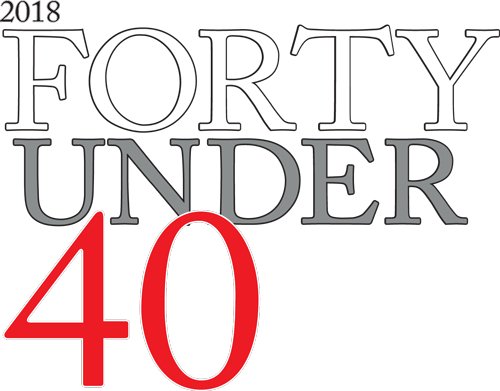 Presented by our sponsors, Grant Thornton and Preng & Associates, the Forty Under 40 honorees have excelled in entrepreneurial leadership and problem-solving. Out of hundreds of nominations across E&P, Service, A&D, Midstream and Finance, we have hand-picked 40 influential individuals who are furthering the goals of their organizations and the industry through their initiative, intelligence and persistence. As they face additional pressures in today's industry, 2018's Forty Under 40 honorees have forged relationships, created businesses and cornered markets to carry themselves forward and leave lasting impressions of fairness, tenacity, curiosity and creativity for future industry leaders. We trust that the achievements and promise of this outstanding group of professionals will inspire you as they inspire us. For your introduction to these role models, we invite you to enjoy these video and audio interviews, extended narratives and personal insights. Be sure to look for the companion profiles in a special supplement mailed to subscribers of Oil and Gas Investor in late 2018. Claire Chase Mack Energy Corp.
Matt Gallagher Parsley Energy Inc. The honorees featured here are individuals whose wide range of skills and experience underscores their current and future leadership potential. Paul Jansen Conway MacKenzie Inc.
Ben Johnson Netherland, Sewell & Associates Inc.
Kyle Ramachandran Solaris Oilfield Infrastructure Inc.
A passion for the best that the industry can offer drives this year’s honorees. Jake Stroud Castell Oil Co.
Kaes Van't Hof Diamondback Energy Inc. Copyright © 2018 Hart Energy. All rights reserved.